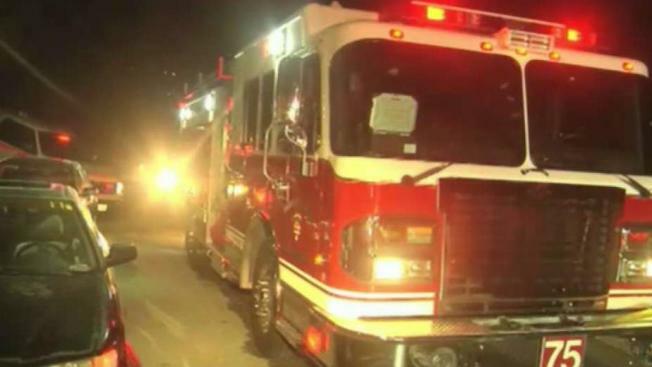 Firefighters say marijuana growing equipment may have started a fire that damaged part of a home early this morning in the East Bay. Equipment used for a legal marijuana grow operation caused an electrical panel to fail, sparking a fire inside a Pinole home Tuesday morning, according to a fire official. Fire crews responded to the two-story home along the 2500 block of Samuel Street just after 2:30 a.m. to battle the flames, Pinole Fire Department Battalion Chief Bryan Craig said. Three people, including an infant, were inside the home when the fire ignited, according to Craig. They managed to escape unharmed. Fire crews previously requested PG&E crews to determine if the electrical system was indeed being overworked and if the electrical equipment for the growing operation was installed correctly. Further information was not available.